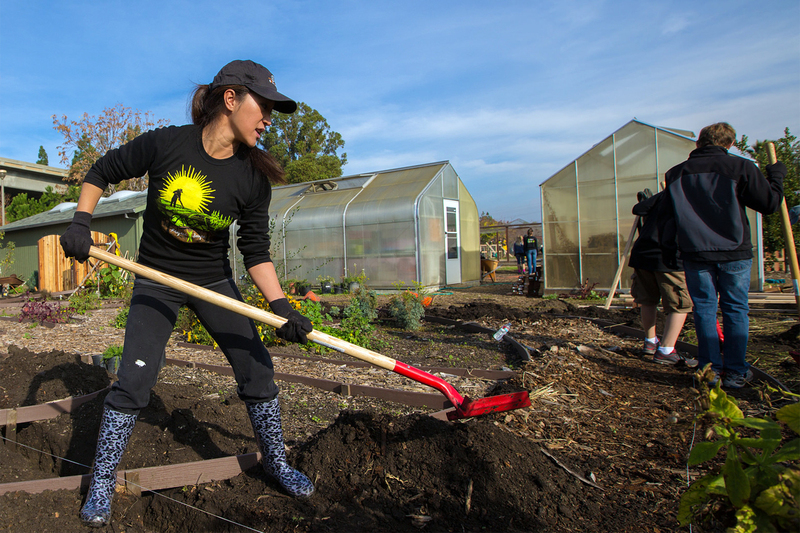 Can San Jose Revitalize Local Food and Farms in Silicon Valley? Amidst scarce housing and vanishing farmland, a new report charts a course for better co-existence for tech and ag by 2040. San Jose, California is a sprawling city of contradictions. Once a bedroom suburb for San Francisco commuters, in recent years it has exploded to a city of more than a million people. Now San Jose serves as a home to both wealthy tech workers and working-class families sardined into whatever apartments they can find and afford. Its climate was perfect for apricot, cherry, and plum orchards and the canning factories that employed thousands of residents in the first half of the 20th Century, but those have long since been replaced with tech campuses. With the idea that building up a local food system in San Jose would improve the city’s economy, community healthy, livability, and environment, the nonprofit Sustainable Agriculture Education (SAGE) recently hosted a kickoff event for a report that details the state of the San Jose food system and offer solutions to create a thriving local food system. The Food Works report analyzes how food production, processing, distribution, and restaurants fit into San Jose’s vision of itself for 2040 and the economic impact of food businesses on the city economy. It offers a blueprint for San Jose’s food entrepreneurs, farmers, and eaters, recommending 31 action items‚ including assessing food businesses’ labor needs, studying the feasibility of a wholesale food market, planning for food retail in “urban village” housing developments, and establishing a Food Policy Council. Panelists at the kickoff event described how the city is working to make food an important part of its plans for the future, even though historically San Jose has not been a food destination like San Francisco. One reason for that reputation could be that food has not yet been a major force in city planning. “It’s not typically on the list of what you think of as the sectors driving the Silicon Valley area,” said Kim Walesh, a deputy city manager and San Jose’s director of economic development. However, plans for a new food hub at Veggielution, an urban farm on the east side, and the passage last year of Urban Agriculture Incentive Zones, which give tax breaks to property owners who allow community gardening on their land, could indicate a shift in San Jose’s approach. Can Food Systems Withstand Development Pressures? In the ultra-hot Silicon Valley real estate market, fights over land use have been ugly. County Supervisor Ken Yeager described the industrial “assault” on farmland in the north Coyote Valley in far southern San Jose. 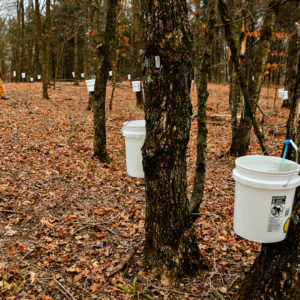 The area, zoned for industrial use despite its potential for food production, is a target for tech data centers and warehouses, which would require paving over prime farmland. The SAGE Food Works report recommends that city leaders “re-evaluate” that zoning to create a permanent “urban-edge food belt” to make better use of the excellent soil and climate in that area, which is also home to 45 percent of the water supply for Silicon Valley. Protecting Coyote Valley farmland against industrial growth could also protect against some of the effects of climate change, reducing the downstream flood risk and disasters like the February flood that forced the evacuation of 14,000 San Jose residents. “Food systems may be the connective tissue to save this last-chance landscape,” said Andrea Mackenzie, general manager of the Santa Clara Valley Open Space Authority. Silicon Valley’s difficulty in preserving its foodshed “is what separates us from Santa Cruz,” said Yeager. In that hippie-filled, oceanfront neighboring city, restaurant menus are full of the names of farms from nearby Watsonville and the Santa Cruz mountains. But farmland closer to San Jose, once bountiful, is now a target for industrial growth from the tech industry. The Open Space Authority recently proposed raising $80 million to protect the north Coyote Valley from development, showing how seriously they plan to fight tech companies that want to build in the food-growing belt. Silicon Valley chefs often struggle to find local fruits and vegetables for several reasons. They are a little further removed from small and organic farm hot spots like Marin and the Capay Valley northwest of Sacramento. 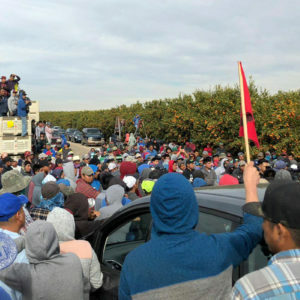 Even the nearby farm communities of the South Coast, just over the mountains to the west of San Jose, suffer from a lack of basic infrastructure even as the cost of living climbs higher from the encroaching tech industry. Finding that diversity might continue to be difficult as the city struggles to build demand and supply at the same time. Last year, the fledgling farmers’ market that opened up 30 blocks south of Adega shut down because efforts to build it up weren’t “translating into sustainable business opportunities for farmers,” according to an email from the Pacific Coast Farmers Market Association. The nearest farmers’ market to the now-closed East Santa Clara Street Farmers’ Market is Le Marché at Santana Row, an upscale outdoor mall on the west side of town, which is operated by the California Farmers’ Markets Association, and is ostensibly aimed at higher-end shoppers. 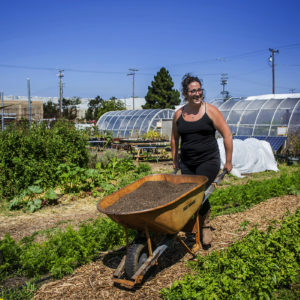 The South Bay is about to lose another pillar of urban farming: Sunnyvale-based Full Circle Farm recently announced that it will shut down at the end of July after a decade, due in part to problems supporting its labor force. “We couldn’t have interns live on the farm; we had to pay Silicon Valley rent,” garden manager Dan Hafeman told The Mercury News in May. Skyrocketing rent has affected the food industry all over the Bay Area; as is the case in San Francisco, the people who make food in San Jose can’t afford to live there. In 2016, The New York Times found that tech boom housing prices had driven away the area’s supply of restaurant workers, and multiple panelists at the Food Works event cited labor as a barrier to their businesses’ success. Dan Bassian from San Jose-based meat wholesalers Bassian Farms told attendees that what keeps him up at night is “finding enough good, able-bodied employees.” He added that some Bassian Farms workers commute two hours each way from cheaper housing in the Central Valley. The Food Works report cited 40,000 jobs that create $2.8 billion for San Jose each year, but those jobs pay low wages. A line cook could expect to make $31,000 a year in 2013, according to the report, while bakers averaged $26,600, and even head chefs—at the top of the ladder—were paid only $45,000 on average. And since most San Jose families earning less than $50,000 a year spend more than half their income on rent, food service workers are likely to feel the burden. But food entrepreneurship could be a way to bolster food access; a weekend food cart, for example, could help a low-income family pay the rent. Veggielution’s Eastside Grange, envisioned as a place for community building, technical assistance, and workshops for small food businesses, aims to support that type of income patching and build on many East Side residents’ “extremely deep connection to agriculture and culinary traditions,” said Cayce Hill, executive director at Veggielution. The city is also piloting a sped-up permitting program for new restaurants, which aims to decrease the lag time between renting restaurant space and opening to the public. The streamlined process, similar to the city’s 15-year-old expedited program for tech companies, would mean that restaurants could get all their permits in one 90-minute meeting. With San Jose’s population expected to rise 50 percent in the next 25 years, to 1.5 million, the SAGE report encourages the city to incorporate food into its vision for 2040. “We have a moment in time now and the leadership to look at this differently,” said the Open Space Authority’s Mackenzie. Now there’s a roadmap for city leaders to do just that. Top photo: an NVIDIA employee works at Veggielution in San Jose. CC-licensed by NVIDIA.